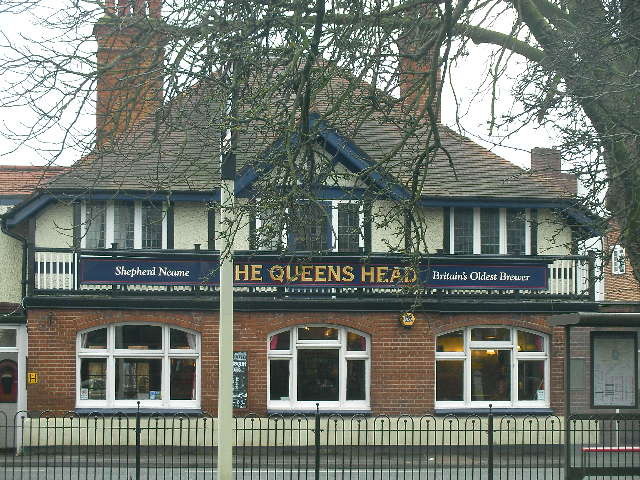 The Queen’s Head public house has served Cricket Green for nearly a century and the site has been a place of refreshment since at least the mid 19th century. Prominently located opposite the historic Green and on the corner of Bramcote Avenue the building has been officially recognised as making a “positive contribution” to the Conservation Area. The pub closed in 2016 and was boarded up and sold on by Shepherd Neame. We were pleased to be contacted at an early stage by the new owners to discuss their development plans. 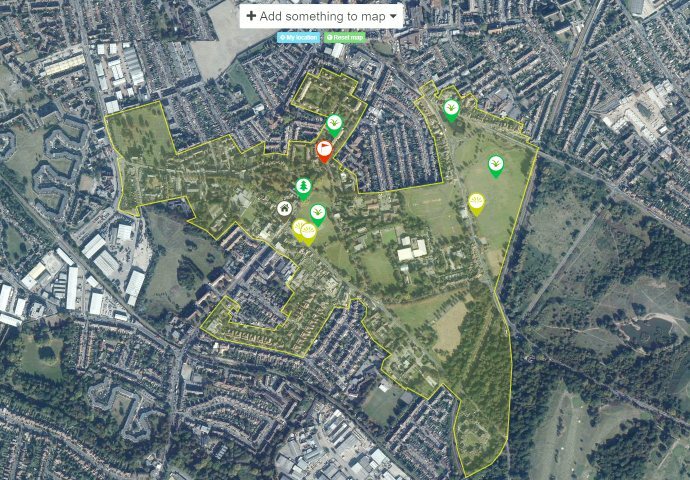 While some of our feedback has been taken on board we have registered an objection to the planning application that has now been submitted to Merton Council. This will involve conversion of the existing pub and construction of two new flanking buildings to create eight flats. The design is neither sympathetic enough to the existing building nor bold enough to add to the street scene. 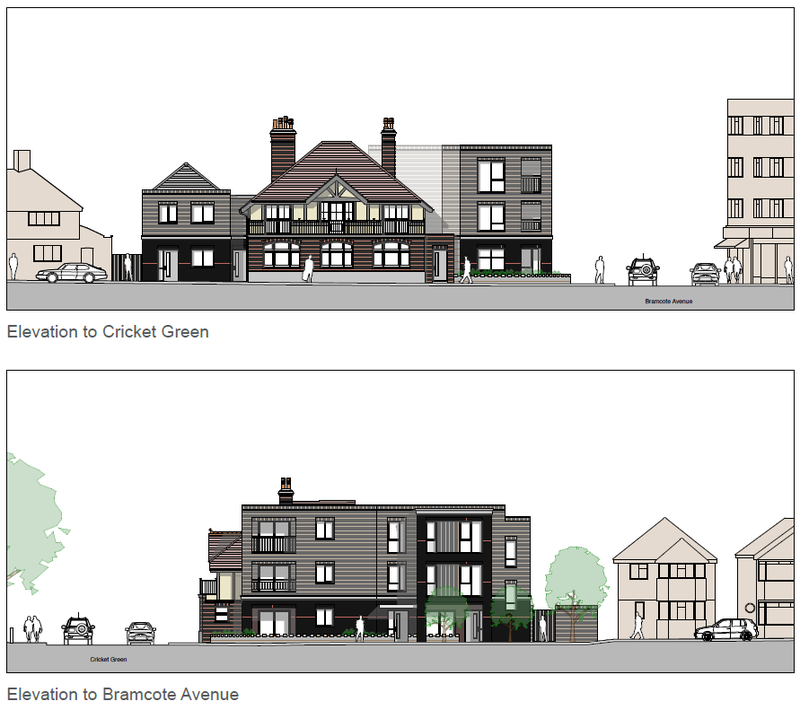 The overpowering new block of flats along Bramcote Avenue will dramatically effect the open sweep as it enters Cricket Green and damage the Conservation Area. We have offered to continue to work with the developers to improve the plans. This entry was posted in Planning Applications on February 23, 2017 by mitchamcricketgreen.